Shinhwa will release a new album in February 2006 WE come. But fans can already hear the new songs you know. Yups, Shinhwa has released the music video for Memory, Tuesday (10/2). 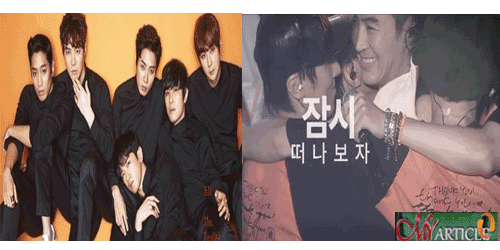 See video memory, the fans will feel drawn into the shared memory Shinhwa spent 17 years with Eric and his friends. especially in the music video we will be brought to the concert atmosphere. Preparation concert revealed from Shinhwa training, press conferences, to backstage. Also there are several appearances Shinhwa will definitely make Shinhwa Changjo (Shinhwa fans call) was touched by the hard work of his favorite group. Besides sneak peek Shinhwa concert, in this MV also there was a young girl. This girl through the forest to the coast. Maybe this girl is termed as someone who remembers about the happy memories I've ever made. See Shinhwa together on stage will make us untouched. Nothing wrong with it if the boy band formed by SM Entertainment is referred to as the legendary group.